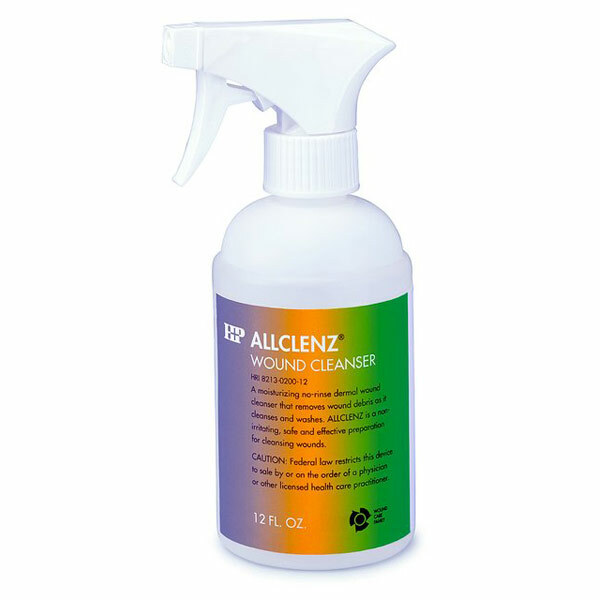 Allclenz Cleanser A no-rinse, moisturizing wound cleanser that gently removes wound debris as it cleanses and washes. Safely and effectively prepares the wound for Curasol Gel Wound Dressing. Adjustable nozzle allows gentle spray or stream (6-8 PSI).